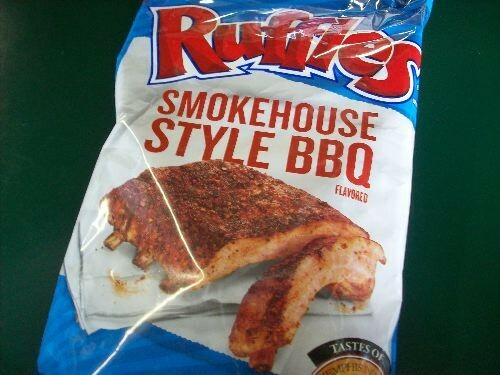 Received in the mail today: Ruffles Smokehouse Style BBQ chips. 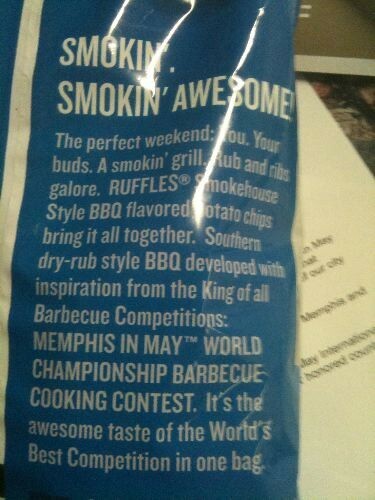 They were sent by Memphis in May, because the chips, as described on the bag, "Tastes of Memphis in May World Championship Barbecue Cooking Contest." I'm not sure I can speak to that, but these limited-edition chips are really good, a step spicier than your average bbq chip. A couple points to note: This path has been trod before by Brim's, and these Ruffles are pig-free.